This is the 4th day of Dry-uary for Mister and me. We’ve been doing this for a few years now and it’s okie dokie. We don’t drink (or do anything else, ahem) the entire month and in the end, our livers thank us. For the most part, we stick with it. There have been a few times when an emergency shot of bourbon was necessary – for medicinal purposes of course – but that’s about it. It sounds boring, I know, but I really do feel better after January. And then I’m a freaking light-weight! Bonus! 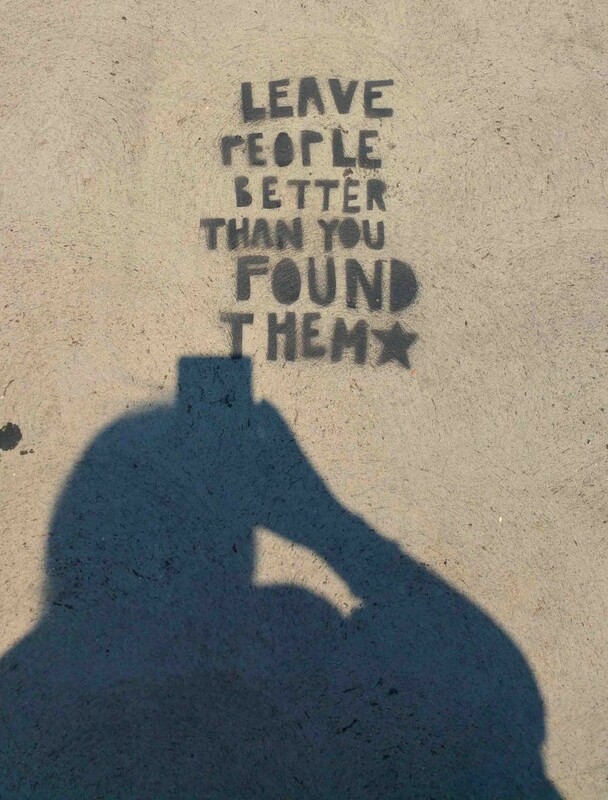 I saw this sidewalk graffiti yesterday while out walking. I tend to the optimistic side of things, but always appreciate when the world reminds me where my bread is buttered. I also had my first Elvis sighting of the year yesterday. Now I see Elvis quite often at the grocery store. (We shop the same aisles, don’t you know.) But this was an entirely different part of town and an entirely different Elvis. The King’s birthday is next week, so I’ll keep an eye out for him around town. You never know. Aside from that, I salute this day. I want to celebrate it, to honor it, to enjoy it. Today is my life. 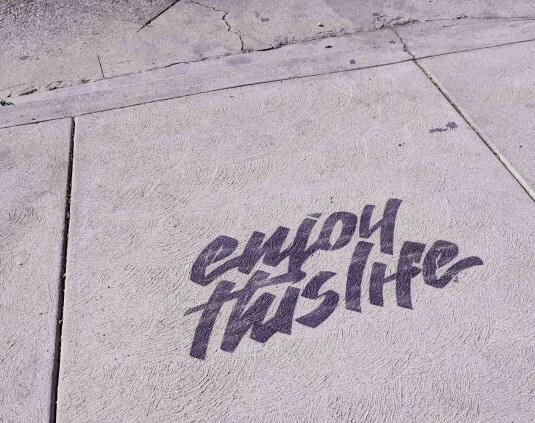 And it is good. I spotted this the other day as I walked down Melrose in Holly-weird. And I didn’t think it was weird at all. In fact, I thought it was quite nice. 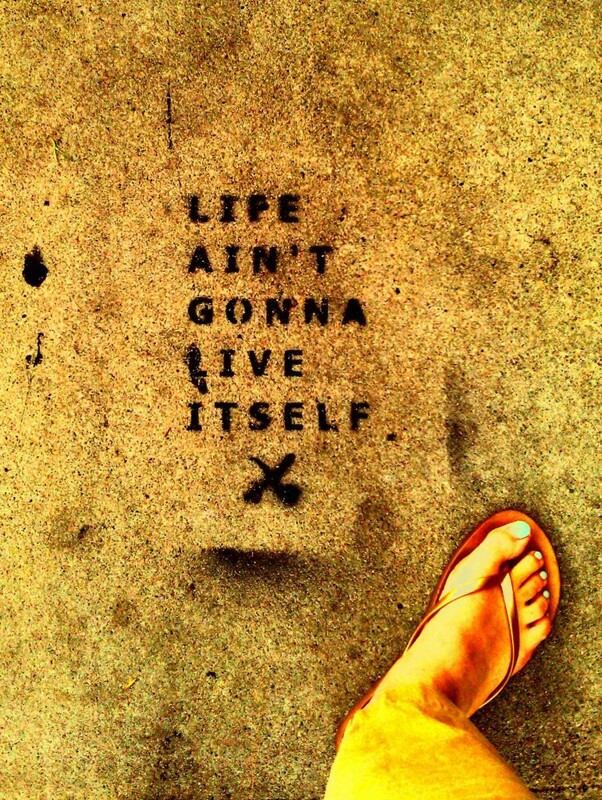 I spotted this sidewalk graffiti in Hollywood and snapped the pic. It made me smile and all I could think was, true dat, Troy. True dat.